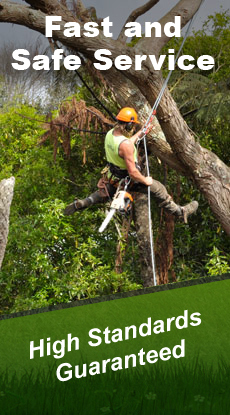 Focusing on the health and safety of trees the professional arborists/tree surgeons at Tui Landscape Services are experienced at working safely and effectively in and around any tree. 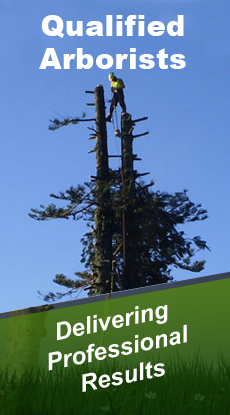 We can diagnose and treat unhealthy trees and are skilled in climbing and pruning. Tui Landscape Services offer a huge range of different tree maintenance services including pruning, trimming, shaping, view enhancement, tree bracing large &amp; small tree removal plus much more. We also offer stump grinding, mulching of brush, arborist reports and consultancy. Tui Landscaping has a team of experienced and qualified arborists. For advice on all things green Tui Landscape Services are the experts. From initial planting advice to ongoing care and maintenance talk to team Tui first. Whether you have a single tree you want removed or clearing of an entire site, Tui Landscape Services have experienced crews that are skilled in this type of work, and have all the specialised equipment required. They will also process logs and other debris and remove from the site if required. Pruning of a tree is necessary for its overall health, removing dead branches, removing crowded or rubbing limbs, eliminating hazards, improving sunlight and air movement throughout the tree all help with the improvement of the trees performance and appearance. The team at Tui Landscape Services have the necessary training and experience for pruning trees. To maintain a nice shape with ample foliage your trees and shrubs need to be regularly attended to by an experienced professional. This also enhances the trees health and performance. Tui Landscape Services can do regular maintenance on your trees and shrubs ensuring they stay happy and healthy. No matter the size of the stump team Tui have the skills and equipment required to remove stumps even in the most difficult areas. They have small hand grinders to large self propelled stump grinder for large scale jobs. Transporting of trees is not as easy as you may think, there are many considerations you must address before you make the decision to transplant. You must consider whether the type of tree will withstand transplanting, the size of the tree, root zone moisture and irrigation, location of relocation and even the correct season for transplanting certain trees. Talk to the team at Tui Landscape Services about your tree relocations. Its important to get the right tree when designing your landscape garden. There are many aspects to factor in, you need to decide if the tree will have a specific function, for example there is no point planting a deciduous tree if it is there for privacy. You also need to plant the right tree for the climate and location. Because trees don’t stop growing, its important to regularly trim and prune them. Tui Landscape Services have the experience, expertise and equipment to take good care of your shelter belt. Protected trees are those which have significance to the city for one or more reasons, the trees scenic, recreational, scientific or historical status. There are conditions on how these trees are managed to ensure its longevity and health. Any maintenance carried out on a protected tree must be done by an approved contractor like Tui Landscape Services. If you have a protected tree on your property, talk to Tui Landscape Services . No tree is too big or too small for Tui Landscape Services to tackle. Their experienced team can fell your trees with speed and safety. They can process the tree and leave for firewood or load it into a truck and dispose of it for you. Tui Landscape Services also provide a stump grinding service after the tree is felled if you want it removed. For fast clean removal of tree limbs and trunks Tui Landscape Services portable wood chippers are a cost effective way of processing the waste from pruning or felling trees. The debris get blown straight into the back of their trucks for ease of carting away.